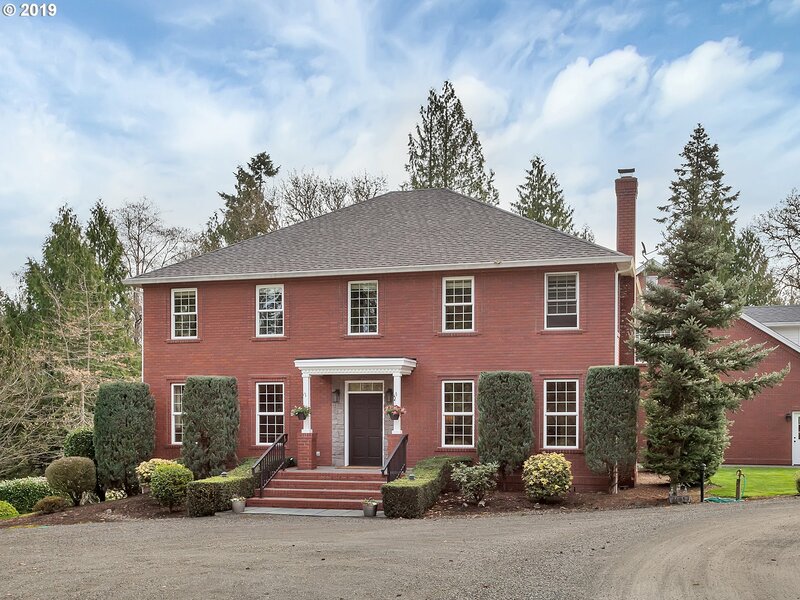 All Ridgefield homes currently listed for sale in Ridgefield as of 04/23/2019 are shown below. You can change the search criteria at any time by pressing the 'Change Search' button below. If you have any questions or you would like more information about any Ridgefield homes for sale or other Ridgefield real estate, please contact us and one of our knowledgeable Ridgefield REALTORS® would be pleased to assist you. 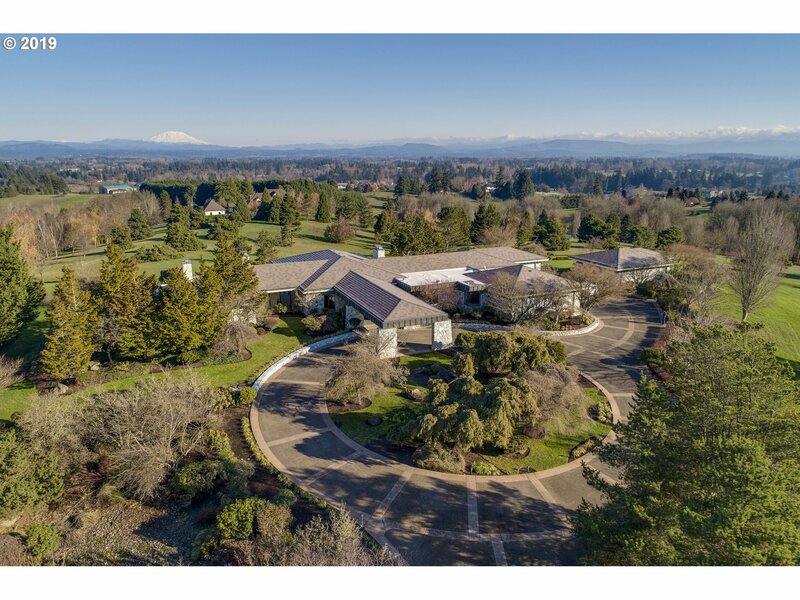 "Contemporary 7,553sf Estate on 20 gated acres in Ridgefield w/3 mountain views. Single level, 3bed/4.5 bath, open plan w/floor-to-ceiling windows thru-out. Marble floors, light wood, copper & stone accents. Designed by award winning Steven Chase. Entertainers kitchen w/Butlers pantry connects to casual/formal dining rooms. Detached studio w/bath. Beautiful grounds with mature trees. Within 20/30 mins to PDX airport, Vancouver/Portland." 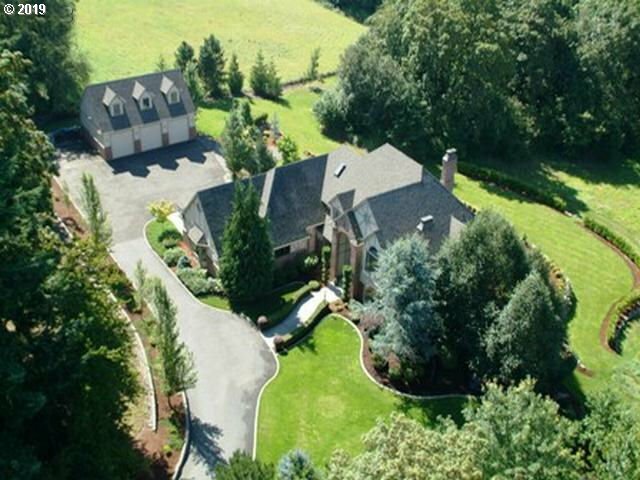 "Ridgefield 5 acre estate offers privacy in a quiet, serene setting. Stunning custom Mascord designed home plus separate 1000+ sq ft studio/office. Home offers 4 bedrooms, 4.5 baths, gourmet kitchen, office, bonus room, 8 ft doors, hardwood floors & high end finishes. McCormick Creek tributary runs through forested area on back of the property. Tri-Mountain Golf Course is just a short walk away." "Wonderful 5 acre estate property just waiting for your own touches! This custom built one owner home has 5 bedrooms, 4.2 baths, huge bonus and play room, hardwood floors, large sunroom, huge master suite, new carpeting, 2 wood burning fireplaces, screened in breeze way, 3 car + 3 car (shop) up and down for the enthusiast, a rose and veggie garden, fruit trees, gazebo with water lily pond, lovely landscaping and backs to a green space!" "Welcome to this exquisite custom home on nearly 5 acres close in. It is light & bright w/ beautiful views in every direction! Enjoy sunrises over Mt. St. Helens & gorgeous sunsets over the Portland hills. This exquisite home is an entertainer's delight w/open floor plan & split bedroom design. 3 BRs plus an office! Tall ceilings, heated floors, custom iron work - total quality! There is also a barn, studio, play house & greenhouse!" "This spectacular custom home has 280' of river frontage on the East Fork of The Lewis River.Beautiful territorial views from 1300 sq. ft. of wrap around decks!Great home for entertaining w/surround sound,indoor & outdoor bars,refrigerated wine cellar & theater rm!Master bdr w/his & hers en-suites.Spiral staircase leads to 2nd office in home.886 sq. ft. private apartment on 2nd floor includes ktchn,great rm,1 bdr+ 1 bth.1417 Sq.ft.Garage"
"Open floor plan w/ 3 ensuite bedrooms & large office/den. Soaring ceilings & tall windows. Gourmet kitchen w/ Dacor appliances, Hayes cabinets, slab granite, double convection ovens, 2 dishwashers, instant hot water, pot filler, built in fridge/freezer, lg walk in pantry, and lg center island. Views from covered patio. Master BR w/ walk-in closet, ensuite w/ heated tile floors. 2nd & 3rd unfinished floors w/ room to expand about 1500sf"
"Gated beautifully designed and maintained home on 7 acres, pasture + landscaped yard. Dramatic foyer w parlor and office, looking onto great room. High ceilings, incredible cherry floors and custom built ins and trim. Heated tile floors for extra comfort.Island Mud room W 1/2 bath and storage. Large bedrooms W/walk in closets & Jack n Jill baths. Master is amazing, has balcony, tub and tiled shower, dbl sinks, bidet next to toilet." "A Gorgeous Gated Estate on 11.9 Acres-Recently Remodeled Custom Home! Daylight ranch style w/2 master suites, gourmet kitchen w/6 burner gas range, vaulted ceilings, propane fireplace in great room, formal dining room, crown moldings, covered deck off dining room & master bedroom with a great view. Master w/tub + shower. 2 fenced pastures-outbuildings-#1-30x48,#2-25x30,#3-20x24 + 1 stall horse shelter,3 car garage w/small kitchen area." "Move-In Ready! 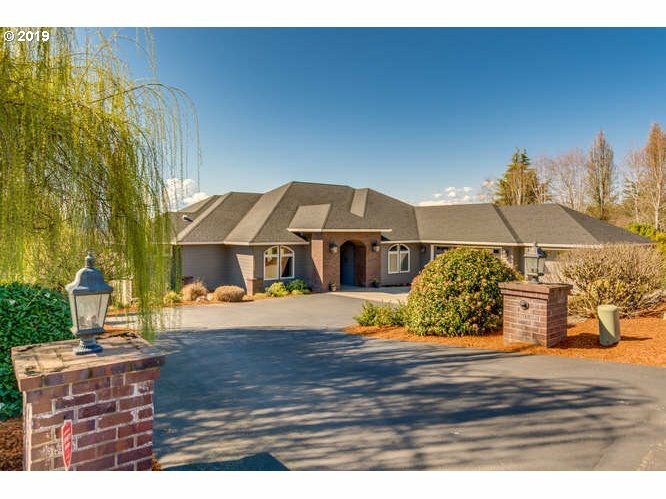 This Luxurious Ridgefield Country Estate features Multi-Gen Living on 10 Private & Peaceful Acres w/Potential to Split Lot. New Carpet & Paint. Granite Kitchen Counters, Gas Appliances, Hardwood Floors, Grand Staircase, Cherry Cabs, Fireplaces in Master, Living, Family & Basement. 1000sf +/- Bonus Rm, Attached 3 Car & Detached 3 Car Garage w/Loft/Office/Rec Room, Shop, just 25 Minutes to PDX or downtown Portland." "Awesome 5 ACRES- 1 Level- 2344 Sqft- 3 Bdrm/2 Ba- Great Rm- Living Rm w/Fireplace- Kitchen w/Island & Pantry- Dining Area w/French Doors to Deck- BEAUTIFUL Master Ste w/Full Ba & Walk-in Closet Plus Fireplace & Private Deck- Heat Pump & A/C- Laundry Rm- 3 Car Garage- PLUS Separate Living Quarters w/Additional 2 Bdrm/1 Ba- 1920 Sqft- Living Rm / Kitchen PLUS 2 Large Bonus Rooms- HUGE 40 x 60 SHOP- Pasture- Trees- Garden Area- RV Parking"
"Custom Built 4 bedroom & 2.5 bathrooms beautiful home, private location, traditional brick home on 5 acres. Peaceful large patio for gatherings. Large 1143 SF full apartment located above the 6 car Tandem garage. Wood burning fireplace and Gas Fireplace. Kitchen/Family Room is Open. ADU/Apartment-one bedroom and one bath. 2 sets of washer/dryer hookups ( Garage & upstairs in house) Sauna & additional bathroom in Garage. Easy Access"
"This home is a luxurious 4,257sqft entertainer's dream. 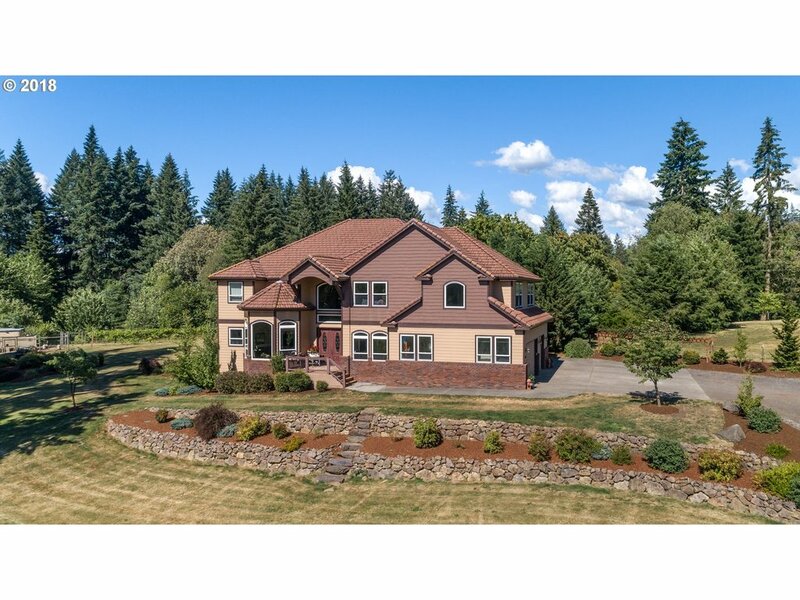 The entrance is flanked by brick columns & features an oversized kitchen, vast family room, main level den & formal dining area with a magnificent view of some of the most picturesque land in WA. Up the stairs is a peaceful oversized master suite featuring the 3rd fireplace. The en-suite bath features a colossal walk-in shower. This Sonoma-style home is the perfect family compound." "Beautiful custom on 1 acre, RV parking plus finished 2 story shop 650 sq ft on each level. Open gracious living with bonus or 4th bedroom. Den/office with custom woodwork. Gourmet kitchen with eating bar, dinette area, plus formal dining room. Entertaining is a breeze with large covered patio w/fireplace. Enjoy the serenity while watching the ships pass on the Columbia. 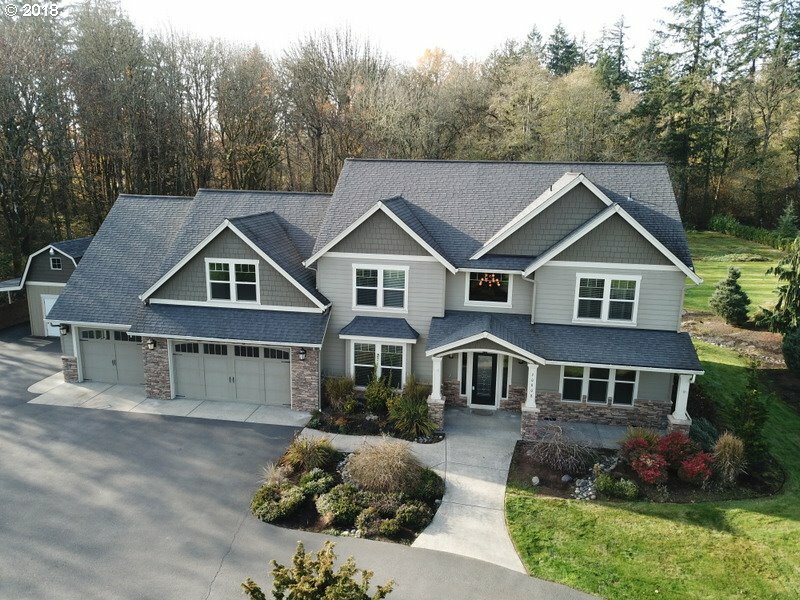 Premier community with excellent schools.Solar panels w/net meter"
"1 LEVEL CUSTOM BUILT HOME in Ridgefield on 1 ACRE w/UNOBSTRUCTED VIEWS of Columbia River & Valley! Handscraped wood floors, slab granite, covered patio, island kitchen w/ custom cabinetry & instant hot water sys & HUGE great room! 4BR/office! Large walk-in pantry, awesome walk-in shower & big walk-in closet in Master! Impeccably maintained home! Hot tub, sprinkler sys. 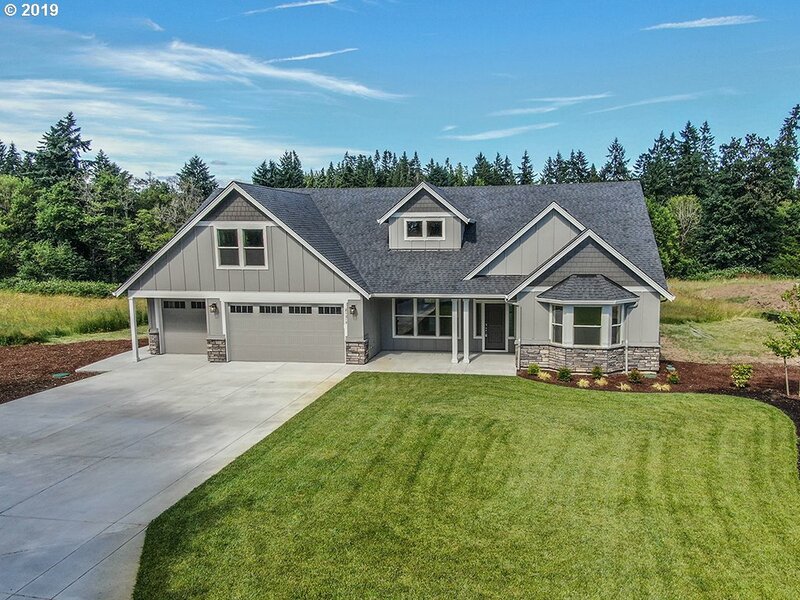 Stunning home, one of most desired communities in SW Washington"
"Country Farm House. Motivated Seller!! One level main living w/lots of space + full guest apartment above garage-own entrance. Vaulted 19ft ceilings. 2 Mstr Suites! Step dwn to mudroom/3rd bed/garage. Covered deck. 900 sf Guest Apartment w/ bedroom/full kitchen/bath/laundry. 6.52 level fenced acres w/ 36x60 barn, hay shed 2yr old roof, new ext paint. $3000 appliance allowance. RV Hookup & Circular Driveway, 3 car garage. Minutes to I5." "This exquisite, hard-to-find, craftsman home will amaze you at every turn. Located in the Meadows, home of the 2015 Parade of Homes. Experience spacious outdoor entertaining spaces, from the stone fireplace to the in-ground rock fire pit, all the details are here! Relish in luxury, slab granite on every counter, a full gourmet kitchen, home theater room with bar, private office, a true 5 bedroom home plus RV garage." "Perfect home for multi-generational living!Great layout in this 5,000 Sq. Ft.+home on just under an acre.5 bdrms,4 bths +2- 1/2 bths.Goregeous ktchn remodel boasts white cabs,slab granite,SS appliances & farmhouse sink.FR has wet bar w/2 burners,space for mini fridge & lots of cnters/cpbrds.Wine grotto w/1000 wine bottle storage.Electric & Plumbing for future sauna.Maple hardwd flrs,Surround sound in great rm,mstr & FR.Too much to list!" "This is large lot subdivision property, located across from Taverner Ridge Subdivision. Originally part of Stephenson Ridge Subdivision (north). Approvals of 13-15 lots, although up to 5 more can be added with revised stormwater not linked to Stephenson.Beautiful lands sloping east. Across from park entrance to wildlife refuge. Renters in unit located on property, please do not disturb.House has no value, rented at $1,200 mo"
"Brand new dream home on this nice acreage lot in luxury gated community. Great room with 12' ceilings has fireplace & built-ins, open kitchen with nook & formal dining room. 3 bedrooms plus office & large upstairs bonus! Beautiful views of surrounding farmlands & Portland Hills. 1.11 acre lot in quiet, private neighborhood backs to year round creek & dedicated habitat area. View this one now!" "COUNTRY PRIVACY, CLOSE-IN CONVENIENCE! Backs to 35AC County open space! 4Bdr+GuestQtr, 5Bth. In 2000 added huge view kitchen w/soaring vaults, vaulted master on main, sunroom & 880+sf in-law/bonus up w/kitchenette & bth. 1Bd/1Ba/liv rm in bsmt w/outside entry. New HVAC 2017. Shop & Barn. Two fenced gardens. 50 gpm well! Fruit trees. Huge private, quiet back yard. Long paved drive. Ask for Features Sheet. <2mi fm WSU, shopping, I5/I205." "Million dollar Neighborhood! Estate Style Living- 3700 sqft, 4 Bedrooms, den/office, bonus room, 3 car garage with bathroom, sauna and lots of storage. lot is an amazing flat 5 acre parcel. Beautiful territorial views including MT St Helens and Mt Adams. Home is located close to Freeway access and the Clark County Fair Grounds. No HOA's lots of room for toys, high speed internet and good Cell service." "Elegant well thought out plan & attention to detail.One level living with giant bonus room up.Master on the main w/ walk in shower & clawfoot tub.Open downstairs concept w/ backyard views & enormous covered patio for entertaining. 3 beds + bonus (could be 4th). Main level utility. Fine finishes like wine fridge, gas cooktop, tankless on demand water heater, granite slab, custom cabinets, hardwood and tile..."
"Endless Possibilities! Live/work on site, 2.6 acres of land w/two residences, possibly three! Property has just the right amount of privacy. Large store front shop w/workroom and 2 extra rooms for storage or whatever you choose. Above store front sits a 2bdr apt. A separate 3bdr ranch home and a 1/bdr small dwelling on the property with just enough space between them. 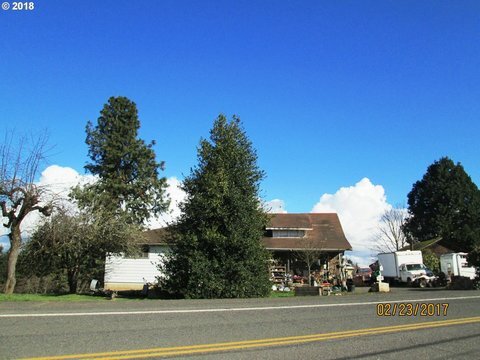 Shops/storage/barns on property and a Beautiful yard w/fruit trees"
"Location Location Location! Close in Ridgefield Property. Immaculate home on 6+ secluded acres. Custom built home with timeless upgrades.Master Suite on main, Great Kitchen w/ Granite, Island, Stainless Appliances & a Walk in Pantry. Hardwood floors, Huge Basement w/Office, workout room, Bedroom & Large Shop w/Garage Door. Possible separate living quarters. Secondary Road for RV Parking. Christmas Trees/deferred tax status to boot!"